Color is everywhere, and the way we interpret it can be categorized into pretty clearly defined areas. Did you know that red can excite you while blue has been shown to soothe? Black breathes an air of sophistication, whereas a bright yellow feels playful and fun. With that in mind, it is no surprise that understanding the impact that color has on a person is important when selecting the colors for your company’s logo. A brand’s logo is its principal design element, acting as a visual representation of the company and its values. There are plenty of things that go into a well-designed logo (10, to be more specific), but one of the most important of these is color. It may seem like an artistic decision, but the primary color you choose for your design actually has a serious psychological impact on how people perceive it. In a widely-cited study called “The Impact of Color on Marketing,” research found that people make a subconscious judgment about products within the first 90 seconds of seeing it. 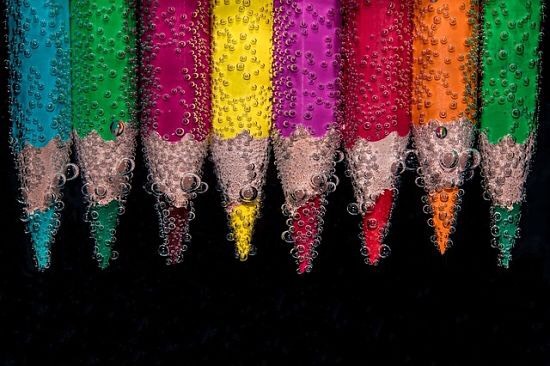 The majority of these people evaluate these products on color alone: almost 85% of consumers cite color as the main reason they buy a certain product, and 80% of people believe color increases brand recognition. Red is a powerful color. It’s the color of love and rage, bringing to mind intensity, power, passion, and action. Red encourages people to take risks, according to renowned color expert Pantone and anyone who has ever run with the bulls. It demands your attention and increases your heart rate, and it may incite feelings of love, ardor, or aggression. Retailers like Target use red because the color’s sense of urgency may drive people to make purchases, whether on impulse or because of an urgent call to action like the final hours of a flash sale. We can’t be 100% sure that simply changing the button to red was responsible for the increase. Perhaps it was just that red contrasted better with the green. Still, the difference is notable and worth considering when thinking about color for your brand. Bright, sunny yellow attracts attention: it’s a color that won’t be ignored. Its association with joy, happiness, and energy has been shown to encourage mental activity, generate muscle energy, and on the whole, cheer you up. Take a look at the brands that use yellow–they’re happy, cheerful, and lively. McDonald’s’ golden arches are kid-friendly, fun, and recognizable all over the world. Diner-styled Denny’s has a bright yellow logo, inspiring pictures of happy families eating breakfasts served under sunny skies. Remember AIM? That little yellow figure brings back memories of late night laughs shared over the AOL chat platform. True Blue has been shown to calm the senses and even lower blood pressure. It soothes and reassures, promoting feelings of trust, security, order, and tranquility. Blue is the most oft-cited favorite color for both men and women, and is the most popular choice for logo designs by a significant margin. Some tests show that people are at their most productive in blue rooms, and you’ll find many companies using the color to capitalize on that. Technology brands like Intel and Dell use blue to relay their security and reliability; no one wants to purchase a computer that frequently crashes. Brands selling machines use blue: GE and Ford use it, relaying their solidity and reputability. VISA uses it for their iconic text based logo, because it falls in line with the security and trust that people associate with blue. If you’re a company that prides itself on its professionalism, trustworthiness, and dependability, blue might be the hue for you. Purple is the color of nobility and kings, so its long connection to wealth and luxury is traced through history. Redolent of this history and tradition, purple is at once commanding and opulent, lavish while maintaining its regal narrative. It is also evocative of the fantastic, suggesting wisdom, creativity, and imagination. The Hallmark company, with its slogan “When you care enough to send the very best,” uses purple to relay grandeur and opulence. Purple leaves the impression of royalty, expense, and a certain enthralling splendor, which is most certainly augmented here by the crown stately positioned over the type. Cadbury’s purple logo embraces the decadence of its chocolate products, conjuring images of something rich and sumptuous with its luxurious purple script. Orange exudes playfulness and exuberance, standing out as a beacon of youthful enthusiasm in every brand that employs it in their logo. Orange is vibrant, and its lively energy is perfectly suited for companies looking to attract a younger (or young at heart) group. Nickelodeon’s bright orange logo stands out in a crowd, emphasizing its buoyant, lighthearted spirit. Fanta and Orange Crush have brilliant orange logos, and it perfectly captures the fun of grabbing a soda on a hot afternoon. Green is considered “rejuvenating and natural,” and is a popular color for companies advocating for healthy lifestyles. Associated with well-being, growth, and nature, green is the color of choice for promoting environmental issues, natural or organic product companies, and banks (money is green!). John Deere and the Girl Scouts both use the color green, reminding people that they are deeply connected to the earth. Whole Foods emblazons their text in a strong green, taking advantage of the fact that people associate green with health and natural foods. TD Bank? Also green. Much like a little black dress, black is timeless, elegant, and sophisticated. Using black in your logo is a bold move, letting consumers know that your product stands for itself. Classic and refined, a simple black logo is a surefire way to represent yourself as an exclusive, high-end experience. Chanel’s logo is chic and tastefully understated, and instantly recognized in the fashion world. The dignified BBC logo is similarly minimalistic, and their refined black styling gives it a sense of authority and respectability worthy of a world class broadcaster. Research has found that deferring to consumer’s feelings about color appropriateness in relation to your product is more important than the individual color choice itself. So don’t get too hung up on the rules for color–there’s room for interpretation on how a color choice is going to be received, and as always, you simply can’t please everyone all the time (I’m never going to like pastel purple. It’s not going to happen). That said, even if you really love it, electric orange may not be the best color choice for the logo of your mattress company — maybe that’s a decision you should sleep on. A good logo needs more than just the right color. If you are ready to create a quality logo for your business that inspires trust and confidence in your brand and helps your business stand out from the competition, consider enlisting the help of our network of over 200,000 creatives to give you great options. crowdSPRING’s Logo Design Service offers a step-by-step creative brief that helps you outline your company’s needs and allows you to select from over 100 entries on average.